Last fall, one of my nursing school classmates, AH, asked me to help her figure out the pattern for one of those mermaid tail blankets that are all the rage now. She's the same classmate I talked about last year when I shared some of my nursing school knit and crochet with you. You can read about that HERE if you like. At the same time, one of the moms at the school my children attend asked me to make one of these blankets for her daughter for Christmas, so I had the perfect excuse to buy yarn and dive into the project. The pattern AH wanted to use was THIS ONE which I really liked since it has the appearance of fish scales in the body of the blanket. So that is what we used. The above picture shows the first one that I made for the little girl at school. She's 5 so of course it had to be pink and purple. No question about that! 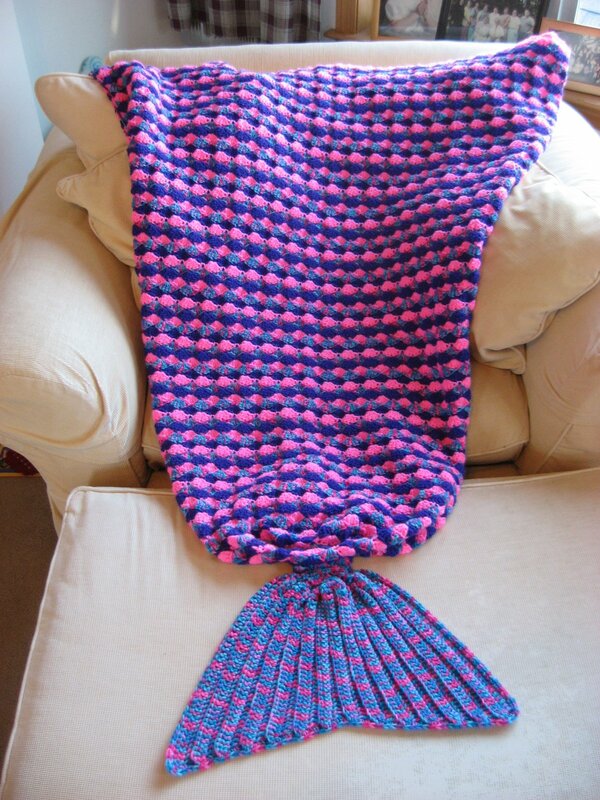 After I had finished the first mermaid blanket, another friend asked if I could make one for her to give as a Christmas gift, but this one would have to be larger since it would be for an adult. And not just a me sized adult, but a very tall adult, as tall or maybe even taller than my own husband. I am, shall we say, vertically challenged measuring in at about 5 feet, 2 inches so a blanket for a me sized adult would not have been too much bigger than the one I made for the 5 year old since I made that one big enough to be cozy and give her some growing room. But my husband is a whole foot taller than me so any blanket made for him, or someone his height, needs to be considerably longer. 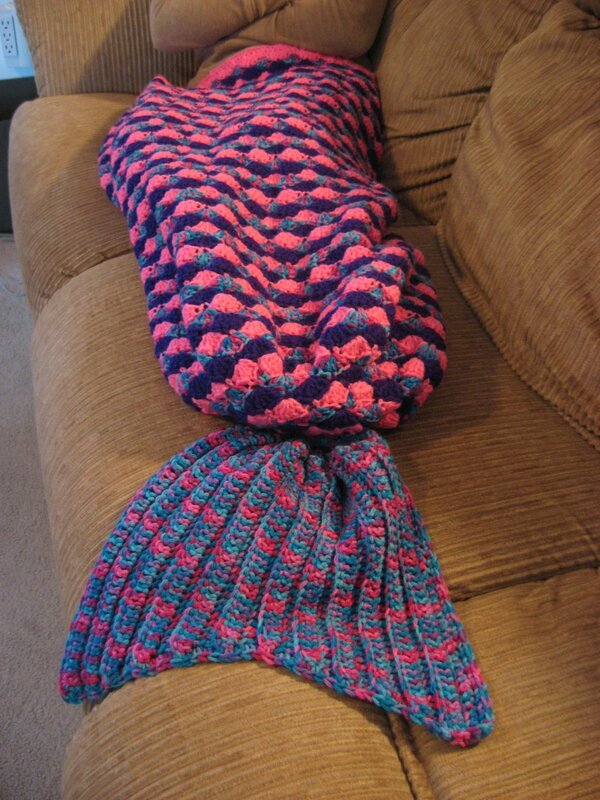 So the above picture shows the tall adult version of the same mermaid blanket, requested in the same colors as the first! The stitch pattern used for the body of this mermaid tail blanket is a simple 5-double crochet scallop and would be a nice pattern to use for a rectangular blanket with no tail attached as it is very warm and cozy. 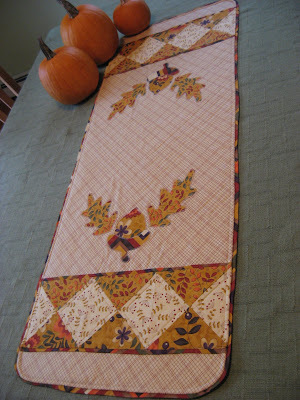 Also once you get the pattern established, it is easy to work and works up quickly. These two mermaid tail blankets started off my cold weather crocheting last fall with some eye-popping color and pleasing results. I heard through the grapevine that both recipients loved their gifts. 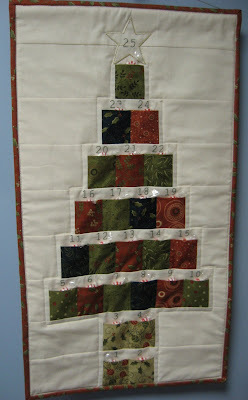 In the coming days, I will share some other knitting, crocheting and sewing projects I have worked on since last fall. Now what have you been doing with your hooks and needles? I would love to know! Those are darling mermaid blankets. The colors are nice too. I'm happy to see you blogging and look forward to seeing the next project update. I was so excited to see your post!! I have thought about you often. I am glad to hear all is well - love the mermaid blankets. Sorry to hear you still have snow - I will rub it in and say we had 80's today - warm and humid - normal Texas spring weather. I always look forward to your creations!